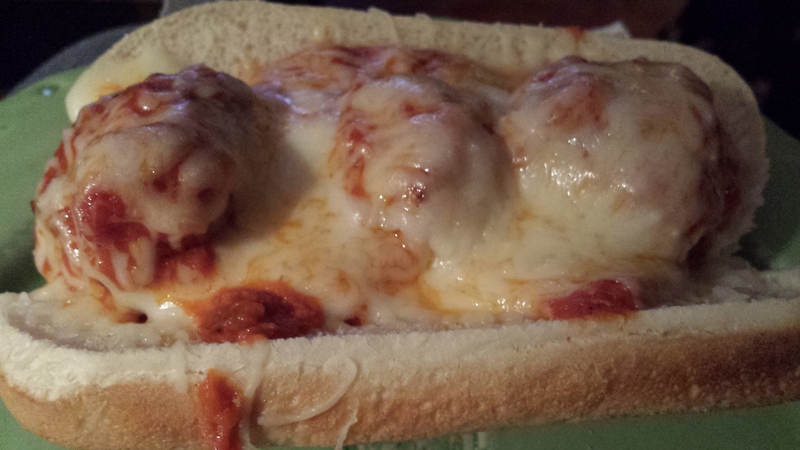 How to make an Incredible Italiensk Meatball Sub! Danish food isn’t yet a worldwide fad. Actually, most american’s only think of cream cheese when they hear “danish”…. instead of the language. (and by the way… they don’t have a pastry called a danish) But that shouldn’t stop you from enjoying their incredible take on the meatball. The Danes are known for their pork. Tell me you haven’t seen a canned ham from Denmark. They raise them in huge sterile “barns” so they don’t get sick and don’t need antibiotics and they feed them really well. I spent a year as an exchange student in Århus and my host family had a farm in Billund. We raised these pigs… but I was never near them. Only trained workers in hazmat suits did that. Still, I know they were well treated as I could watch through the windows. It’s easier to enjoy eating when you know it had a good life before arriving on your plate. We ate these meatballs, called frikadeller in Danish, with a savory brown gravy, boiled new potatoes and a warm red cabbage side. Delicious! Because of the Superbowl, I thought I’d fuse these Danish meatballs with Italian spices and sauce to make a killer sub for you. Italiensk is Danish for Italian! The meatballs are smooth because of the milk and hold their flavors really well because of the flour and breadcrumbs/oatmeal. 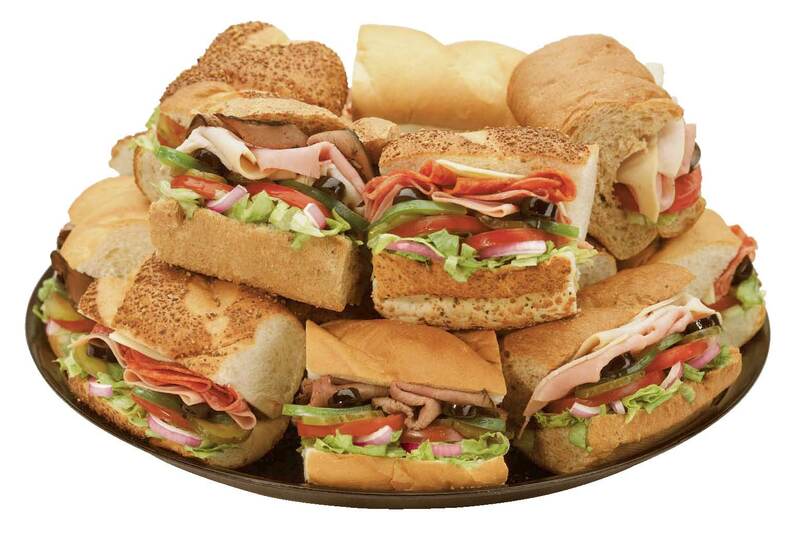 They get a nice brown and crunchy outside and all of this makes them simply irresistible! Whisk the two eggs then add 1 cup of milk, 1 tsp salt, ¼ tsp pepper. Italian herbs as desired. Stir well. Add ½ cup oatmeal. Stir until all oatmeal is moist. Add I cup flour. Stir until all is well blended. Using a cheese grater. Grate onion into mixture. Let mixture sit for 15 minutes. Add meat and ½ stick butter and combine thoroughly with hands. 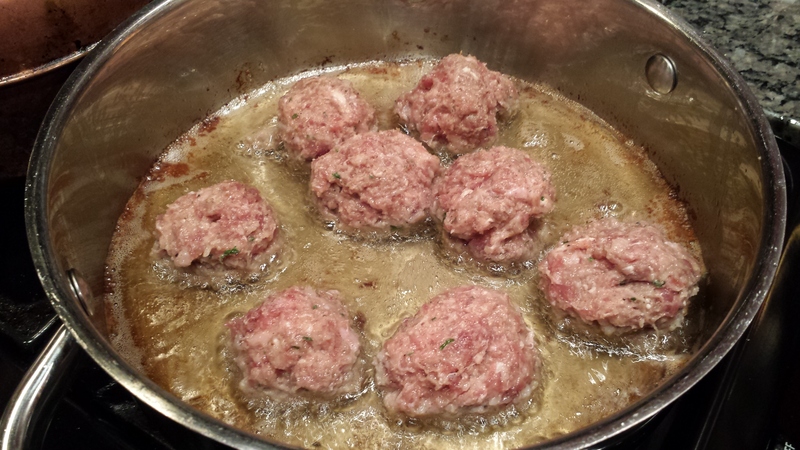 Let mixture sit in refrigerator for 30 minutes so that butter solidifies and stays in meatball while it’s cooking later. Heat oil in a skillet. 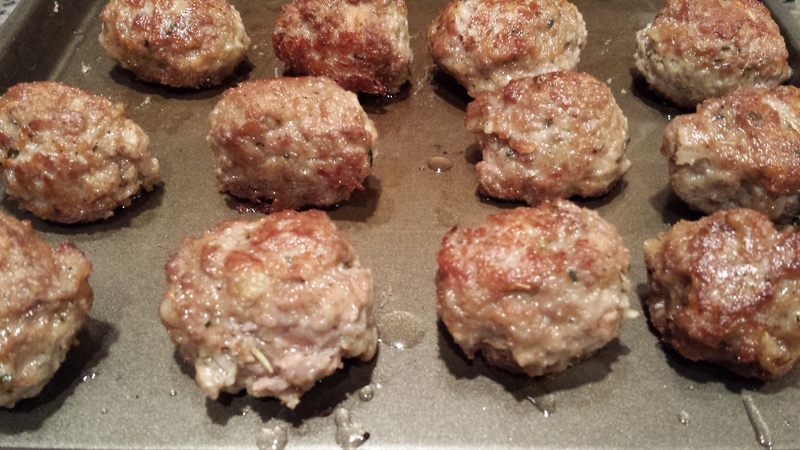 Add meatballs but avoid over crowding. Press down slightly so that more meatball can brown. When brown and slightly crispy flip to the other side. When second side is brown and slightly crispy remove to a cookie sheet and place in 350°F oven (180°C) for 15 minutes. Heat Vodka sauce in a pan or crockpot. Add meatballs. When making sub top with shredded mozzarella.